Not showing up on my credit report. This card has a great welcome bonus after 3k spent in the first 3 months. I have made well over the annual fee in rewards already due to the amount I spend on it. Be sure to always pay your balance if you want to profit one balance hit with interest and it will add far more then the reward to your balance due. I have had it for almost three months is anyone else not having it appear on thier credit report? To clarify i would like it on my report to raise my over all credit line %. Please comment with any information thanks in advance!! Most likely they hard hit Experian only. I've had that happen, but the account should show on all 3 eventually with a hit on possibly one bureau only. After 3 months, it should appear. It may take more time. I've had credit line increases take 3 months to show. It shows up after three months. 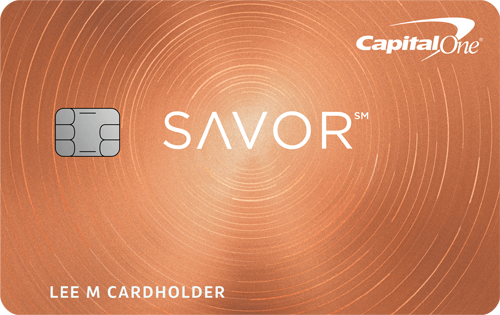 Call Capital One and ask them if you're eligible for an upgrade to the Savor card. They'll check your eligibility status and let you know.